In games science, role play is a form of play in which the players assume the roles of real people, fictional figures, animals or even objects. These can be their own parents, teachers or friends, but also dream characters from the adventure area, animals like dogs or cats or machines like motorcycles or airplanes. 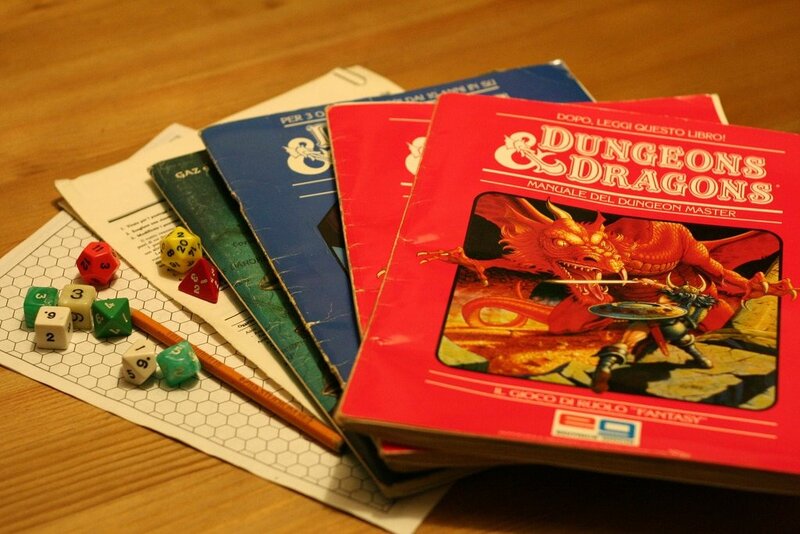 Pen & paper role-playing games usually use an extensive set of rules that works with simple math and dice. Usually a player takes on the role of the game leader; he describes the environment, the reaction of the environment to actions of the players and slips into the role of opponents or friends of the group. He thinks about adventures in advance – or takes them from commercially produced „booklet adventures“ that the group of players has to exist. He also ensures that the rules of the game are observed. Decisions, e.g. the outcome of a fight, are made by calculating different characteristics of the opponents, such as strength or armor value and the outcome of the dice as a random element. Material and information about the sci-fi rpg by Dreampod 9 can be found here. Please note that this game is no longer being developed and some of the products are no longer being printed. My personal attempt to create a very short and simple RPG rule set for beginners and easy gameplay. It’s intended to it as many backgrounds as possible. This is a longtime project still under development. The RPG game created by Russell Brown in 2011/2012 called „D6 Pool RPG“. In my opinion one of the best simple and rather short RPGs ever created. At least worth a look if you need a free set of rules. A light-weight set of rpg rules using 2d6 for checks. Developed and written by Joshua Gager it’s a perfect starting point for almost any gaming group and setting, Some work is required to adjust it to your setting. Very short rules for a 2d6 based RPG. Just define some traits for your character and start playing. No stats in the classical way. A simple 2d6 ruleset with magic rules. 18 pages long. It uses negative and positive modifiers for checks bases on character traits. The author is probably RUNJIKOL.